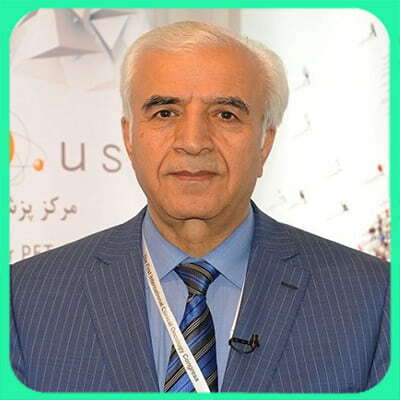 Born in 1950 in Ashtian county (Markazi province, Iran), Dr Mohammad Taghi Khorsandi Ashtiani started his career as a medical doctor in 1977 after he was graduated from Mashhad University of Medical Sciences. Dr Khorsandi Ashtiani went on to earn his residency in ENT from Amir Alam Hospital, Tehran University of Medical Sciences in 1986. He further pursued his post-doctoral training and obtained his one-year fellowship in otology-cochlear implant from Tehran University of Medical Sciences. Dr Khorsandi Ashtiani, however, didn’t settle just for that and went on to complete maxillofacial surgery course in Hazrat Fatemeh Hospital of Tehran. He also succeeded to complete a fellowship in otology-neurotology at the University Hospital Zurich in Switzerland. Over the course of his education, Dr Khorsandi Ashtiani focused his researches on otorhinolaryngology, otology and skull base surgery. And he published around 25 articles in international scientific journals as of today. Dr Khorsandi Ashtiani is currently working as a professor of ENT and head and neck surgery at Tehran University of Medical Sciences. Having performed numerous surgeries, Dr Khorsandi Ashtiani is known as a famous surgeon of cochlear implant, head and neck tumor, base skull tumor, acoustic neuroma and glomus tumor. He’s not only regarded as a skilled surgeon, but also stood out as a noble doctor who cares about morality. A book, called “the doctor of flying”, is written in his honor. The book narrates doctor’s memories especially those related to the time he was curing injured patients in the Iran-Iraq war. A documentary film is also made to show how he has dedicated his life to his work. So, his name is set among the names of the most admired surgeons and doctors in Iran.